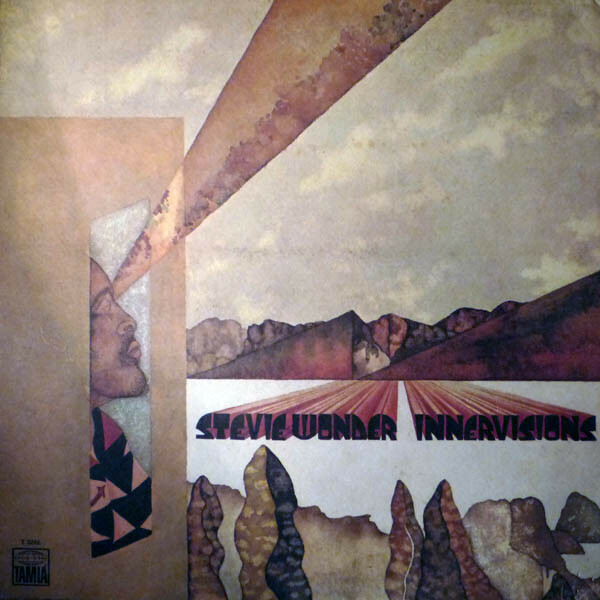 Stevie Wonder's high-flying musical experimentation and penetrating lyrical insight made Innervisions a textured, but never self-indulgent, work of soulful self-discovery. Fusing social realism with spiritual idealism, he brings expressive color and irresistible funk to his keyboards on "Too High" (a cautionary anti-drug song) and "Higher Ground" (which echoes Martin Luther King Jr.'s message of transcendence). The album's centerpiece is "Living for the City," a cinematic depiction of exploitation and injustice. He brought his most innovative music to life in the nick of time: Three days after Innervisions was released, Wonder was put into a four-day coma after the car he was traveling in collided with a logging truck.